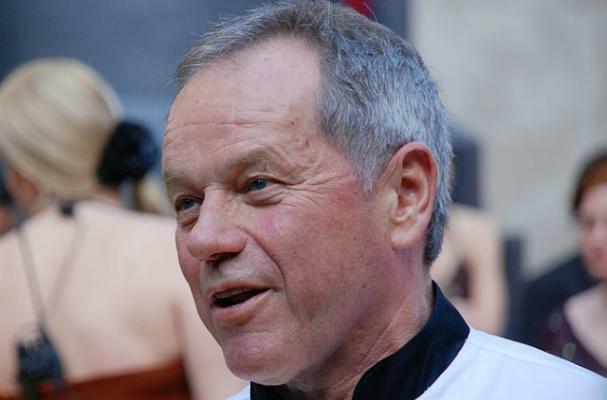 Wolfgang Puck was just in Houston to promote his new line of iced coffee drinks -- Wolfgang Puck Culinary Iced Coffee. When asked about his competitors, Starbucks, the celebrity chef didn't have too many nice to say. "It's terrible coffee! Like when I fly on United Airlines they say, 'We proudly serve Starbucks coffee.' I said they should say, 'We are embarrassed to serve Starbucks coffee.'" Perhaps Puck will have a better opinion of Starbucks' upcoming juice brand. Who cares about his opinion of Starbucks? I like what I like and I don't need HIM to tell me I'm wrong. We have different set of opinions and taste so i guess thats just normal. I'm with Wolfgang, guess there's just no need to put Starbucks down. Clearly lots of people love Starbucks coffee; personally I'm a Seattle's Best kind of gal.